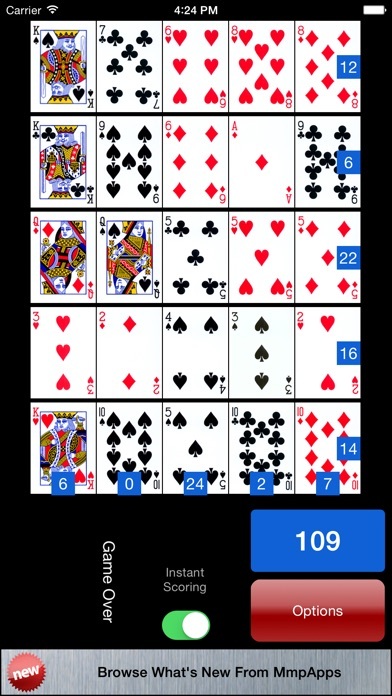 LIMITED TIME BONUS. 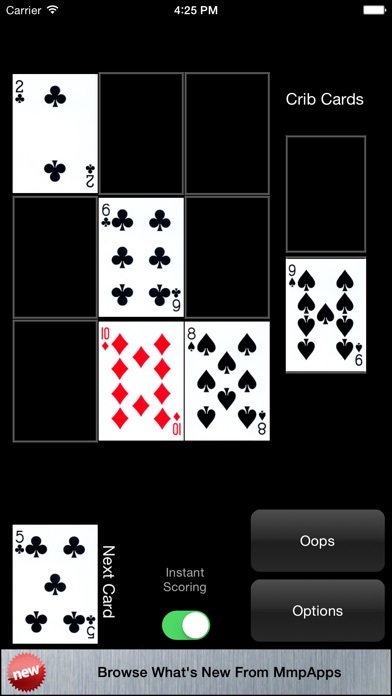 Play 5x5 and 3x3 for free, no need for an in-app purchase. 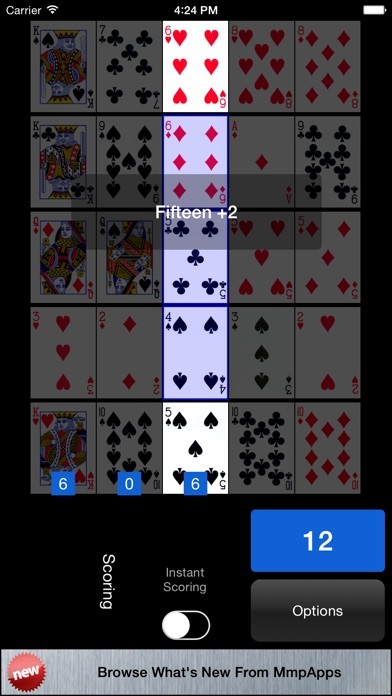 CRIBBAGE SQUARE is a solitaire game based on the rules of cribbage. 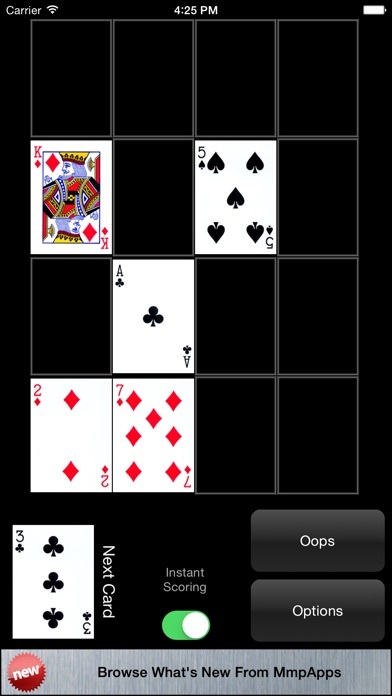 In the free CRIBBAGE SQUARE 4x4 game you place cards in a 4x4 grid. 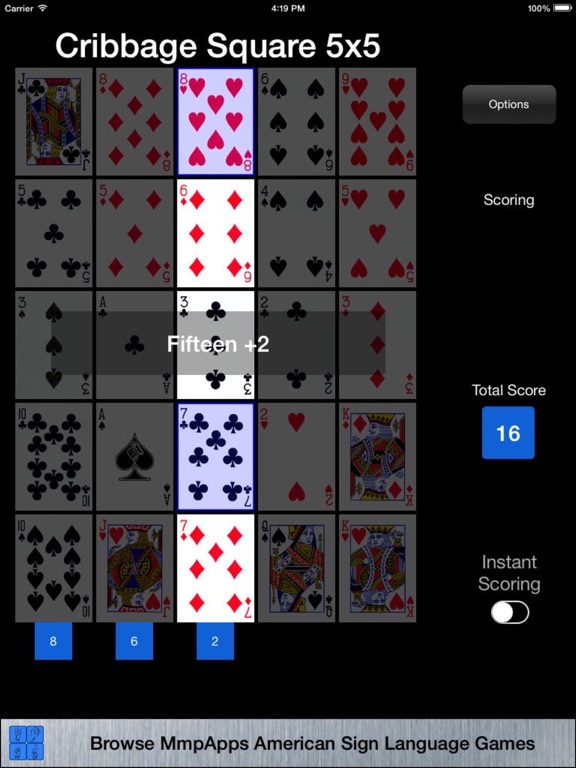 The objective is to maximize the cribbage score of each row and column when combined with a Cut Card. 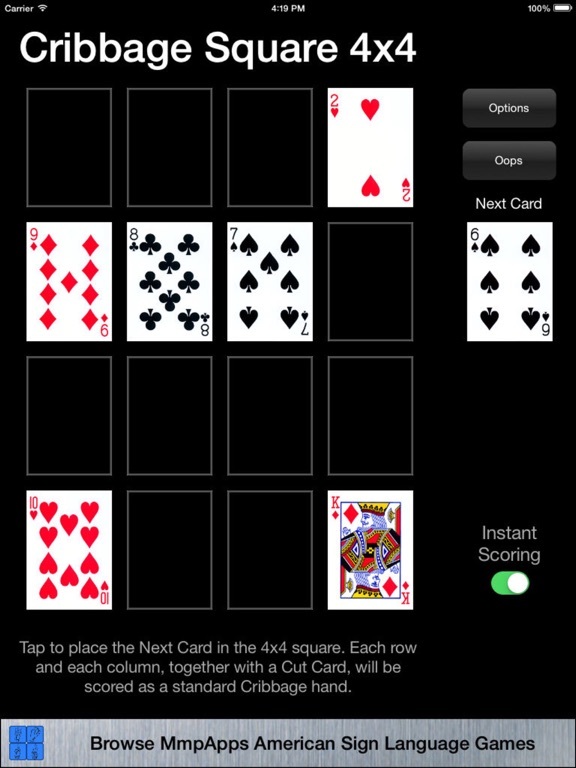 In the CRIBBAGE SQUARE 3x3 game you place cards in a 3x3 grid as well as two Crib Cards. 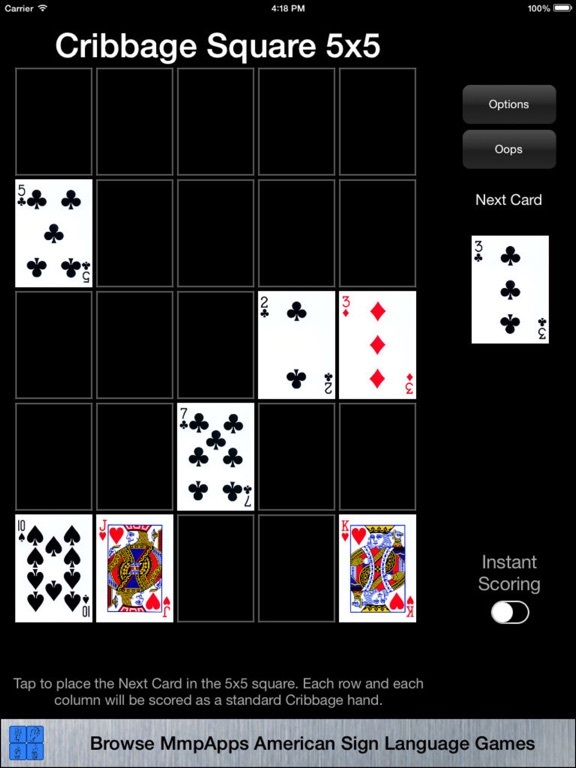 The objective is to maximize the score of each row and column when combined with the two Crib Cards. 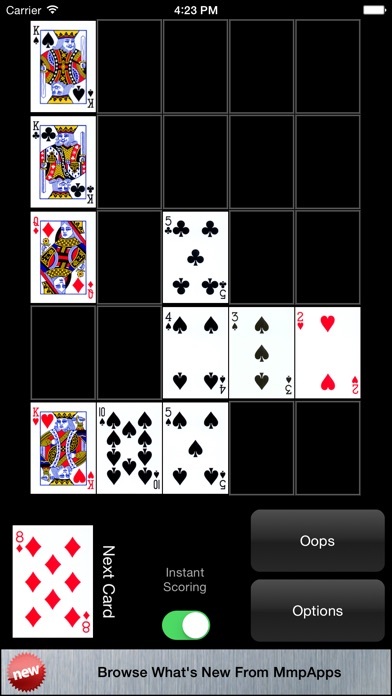 In the CRIBBAGE SQUARE 5x5 game you place cards in a 5x5 grid. 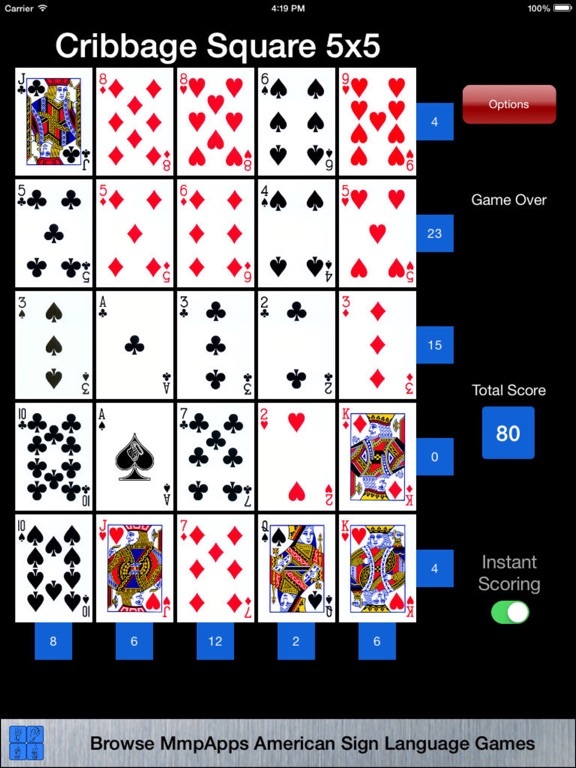 The objective is to maximize the score of each row and column. 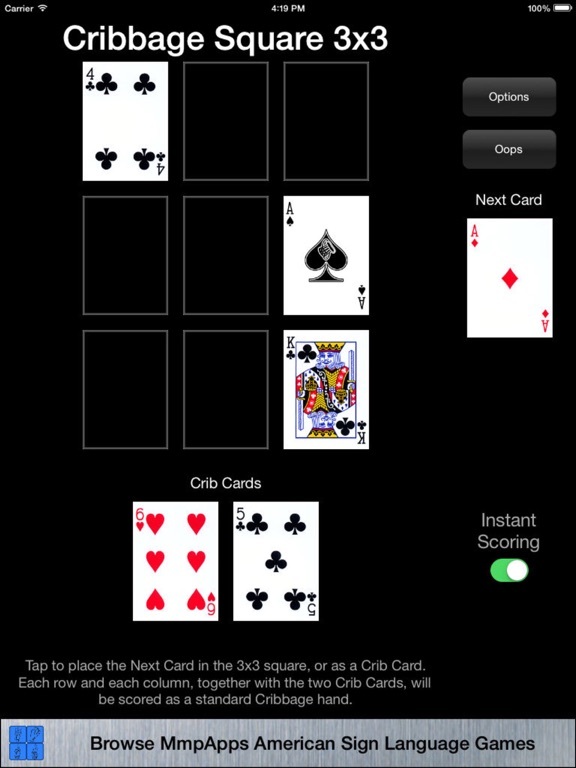 Fast scoring is available for Cribbage pros and a special learning speed is included to help you become one!